This product is listed as a discontinued item. We will no longer be stocking this product. There will be NO RETURNS and NO REFUNDS available for this item. 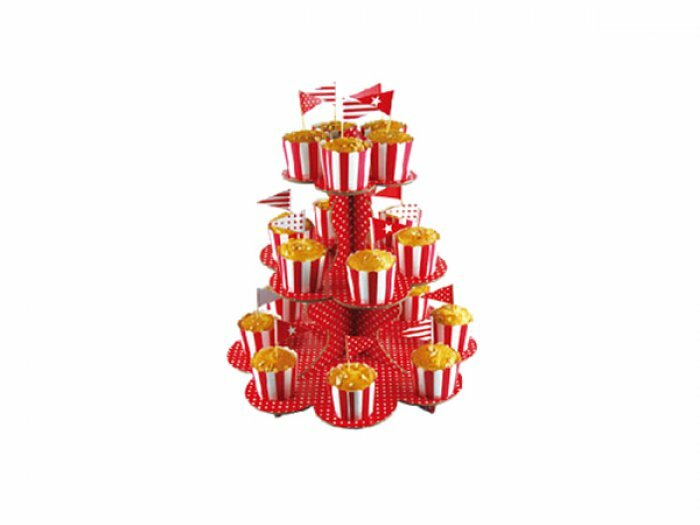 Sturdy and beautifully designed 3 Tier Cupcake Stand. Decorate yourself or just place your cupcakes around the stand for a centrepiece at your event. It can contain 8 cupcakes on the bottom tier, 6 in the middle, and 4 on top. Supplied flatpacked and easy to assemble. this product cannot be shipped internationally or via express post.